This is my second entry in the Game of Quilts Challenge. This time using the “Mother of Dragons” colourway. I decided I wanted to make a memory quilt for some of the fantastic characters who have met their makers on the Game of Thrones TV show. 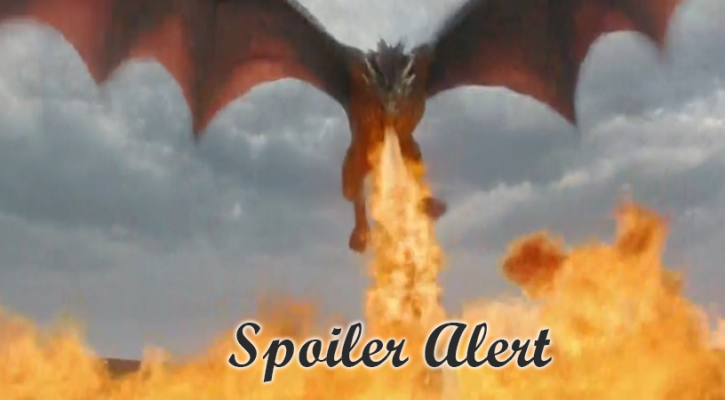 Fair warning – there are MAJOR spoilers below for the end of season 5. Seriously, if you scroll below eye rolling Cersei, you will be spoiled. I don’t want to hear any complaints. I made signature blocks using my Low Waste Signature Block tutorial. Each one has the name of a GoT character who is no longer with us – although some are still under speculation. In the centre, I quilted in a spokes – referencing Dany’s “Break the Wheel” speech from season 5. “In the game of thrones you win or you die” a paraphrase of the comment Cercei says to Ned during season 1. Valar Morghulis/Valar Dohaeris – Valarian for “All men must die/all men must serve” used by the Faceless Men in service of the Many-Faced God. The names of the four major houses – Baratheon, Stark, Targaryan, and Lannister. And the House Words of my two favourite Houses: “Winter is Coming” for the Starks, and “Fire and Blood” for the Targaryans. Both this quilt and my A Song of Ice and Fire quilt will be traveling to the USA for inclusion in the AQS Chattanooga show in September 2015. 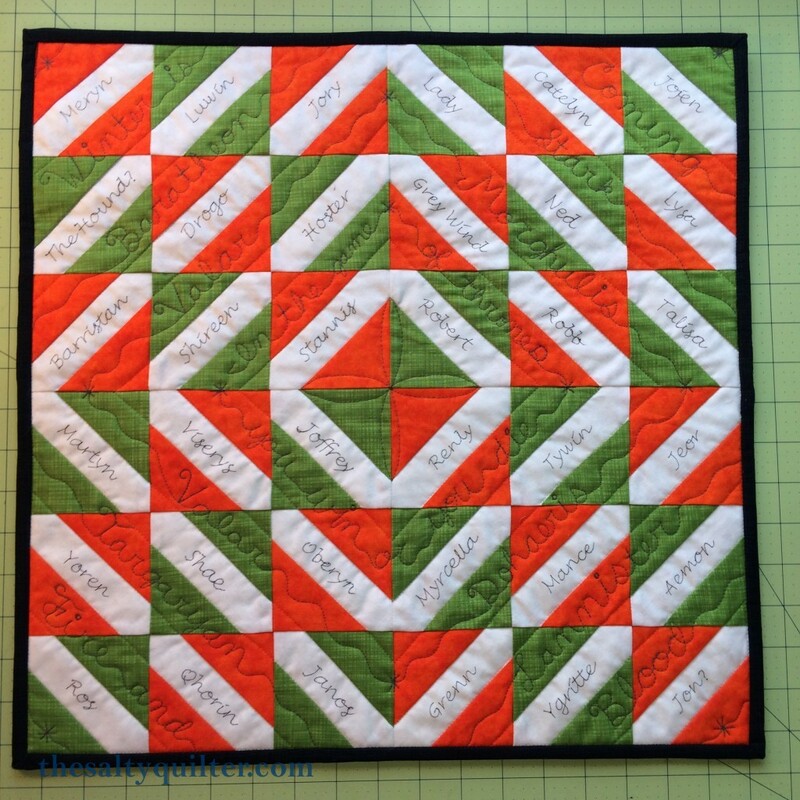 This entry was posted in My Projects and tagged in Game of Quilts, Signature block.